Quick work by the Westport Fire Department — with help from Wilton and Norwalk — averted a major disaster last night. 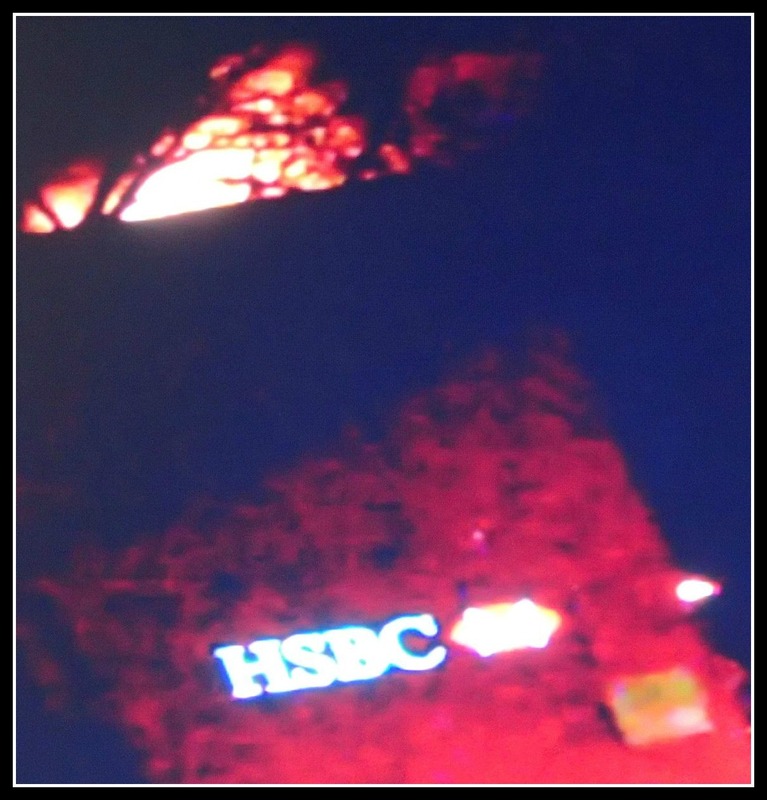 Flames poured from rooftop HVAC equipment atop the building housing Starbucks and HSBC Bank (the original Westport Library), on the Post Road between Main Street and Parker Harding Plaza. The Post Road was closed while firefighters battled the blaze, reported shortly after 10 p.m. Damage was limited to the roof. Downtown has been the scene of several major fires — to a furniture store, the Townly restaurant and Sconset Square — though none in recent decades. Main Street was also the scene of a fire in 1950 that wiped out housing where a number of black men and women, who worked in Westport homes and businesses — lived. That area is now Bobby Q’s restaurant. Click here for that fascinating — and lost — piece of Westport history. This entry was posted in Downtown, Local business, Looking back, Restaurants and tagged 22 1/2 Main Street, HSBC Bank, Starbucks, Westport Fire Department. Bookmark the permalink. As for “none in recent years,” Dan, you know better. See Saugatuck Church, Nov. 20, 2011. Absolutely. I guess I had been thinking of businesses only. Welcome back, Saugatuck Church! And the fire in the old Klaff’s store block. Anybody remember the year? Probably more activity than the HSBC branch sees in a typical month. This pathetic bank has very few customers!